Old coloured sea chart of East Frisland. Printed in London in the year 1588. 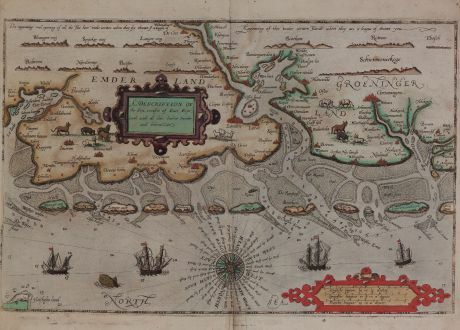 Extremly rare, original old coloured sea chart of the coast of East Friesland from L. J. Waghenaer. From the rare and only English edition of the Spieghel der Zeevaerdt: The Mariners Mirror of 1588. With two decorative cartouches, profiles of the Wadden Islands, cattle, ships and a sea monsters. Title A Description of the Sea coastes of East Frysland with all their bankes, sandes and bekons. Some overall browning, backed at lower end of centrefold. Lucas Janszoon Waghenaer was a Dutch skipper and cartographer. 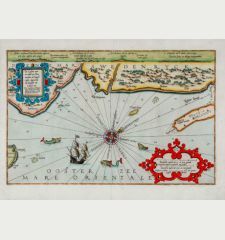 His famous sea atlas was published first in 1584, and was called the Spieghel der zeevaerdt (Mariner's mirror). 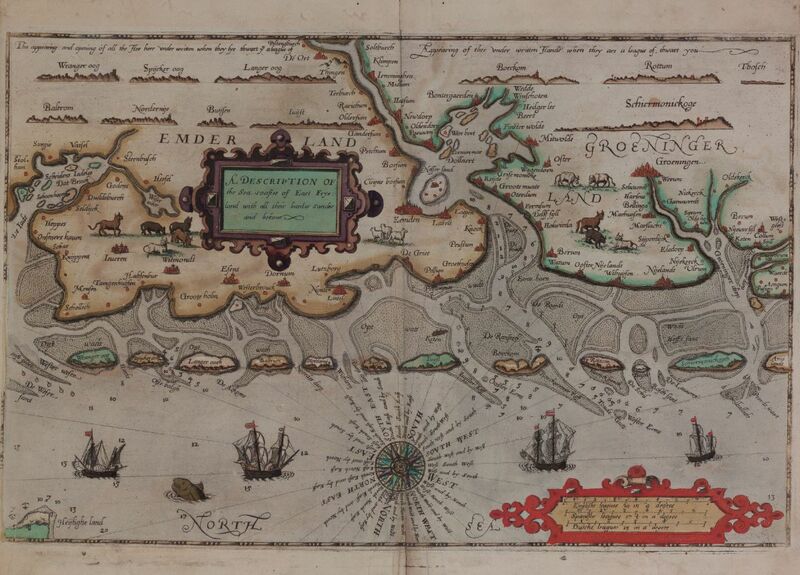 Lucas Janszoon Waghenaer: A Description of the Sea coastes of East Frysland with all their bankes, sandes and bekons..